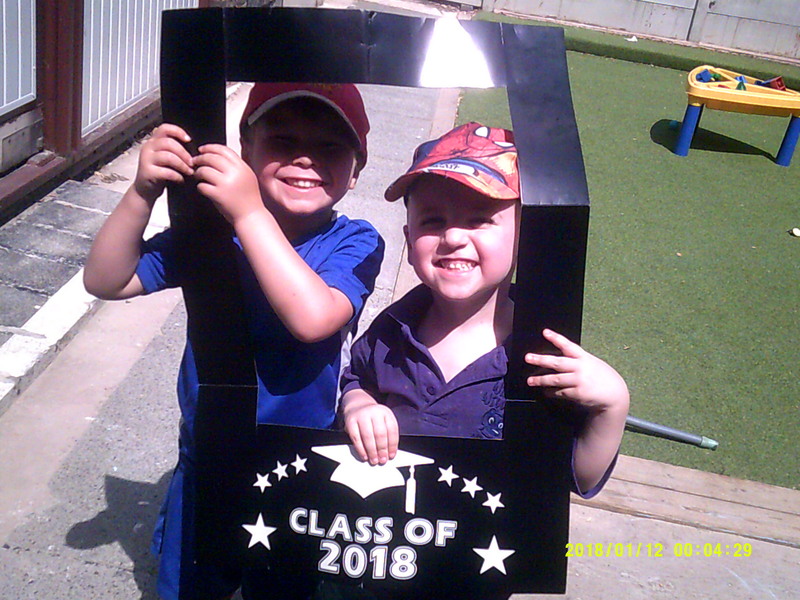 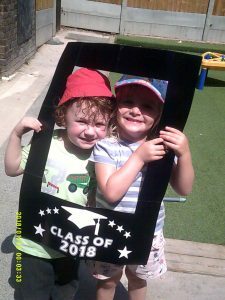 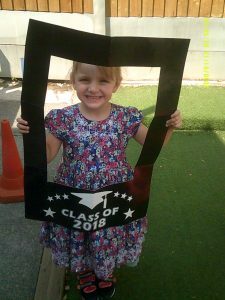 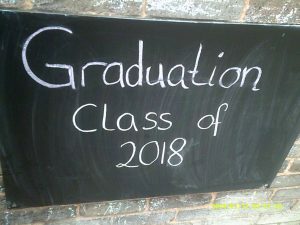 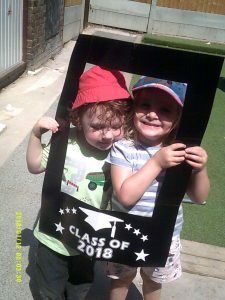 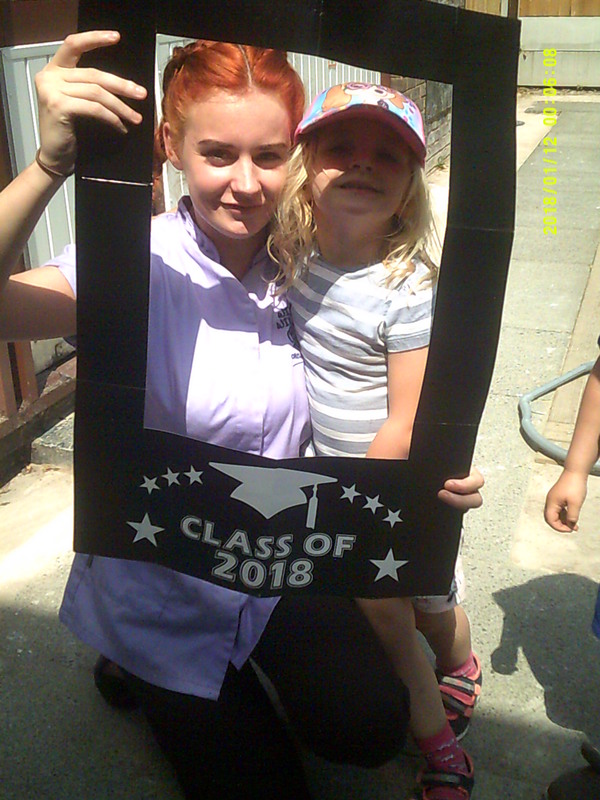 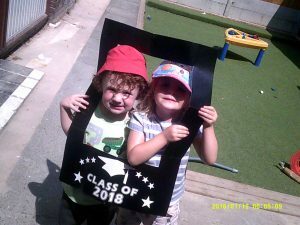 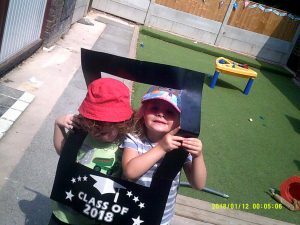 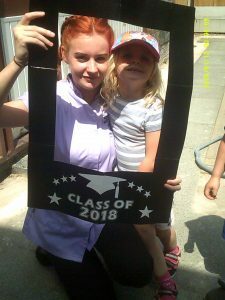 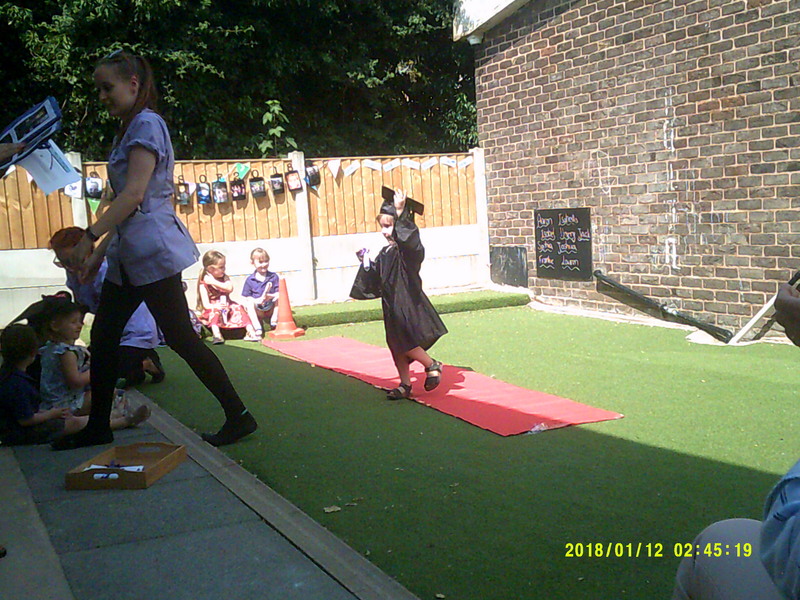 Welcome to our 2018 Graduation Ceremony, we had a lovely afternoon celebrating the children’s achievements and seeing so many parents, carers and family members also able to attend looking so proud. 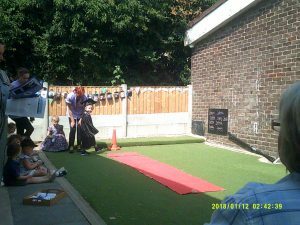 The sun was shinning and we were able to have our ceremony in the garden. 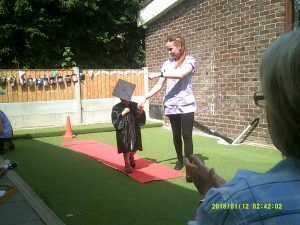 The practitioners all combined comments on the children for us to read out and each family got to take away the speech on their child and a little Graduation bag filled with presents, certificates, work products and photographs. 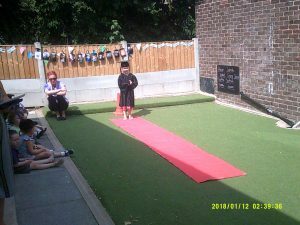 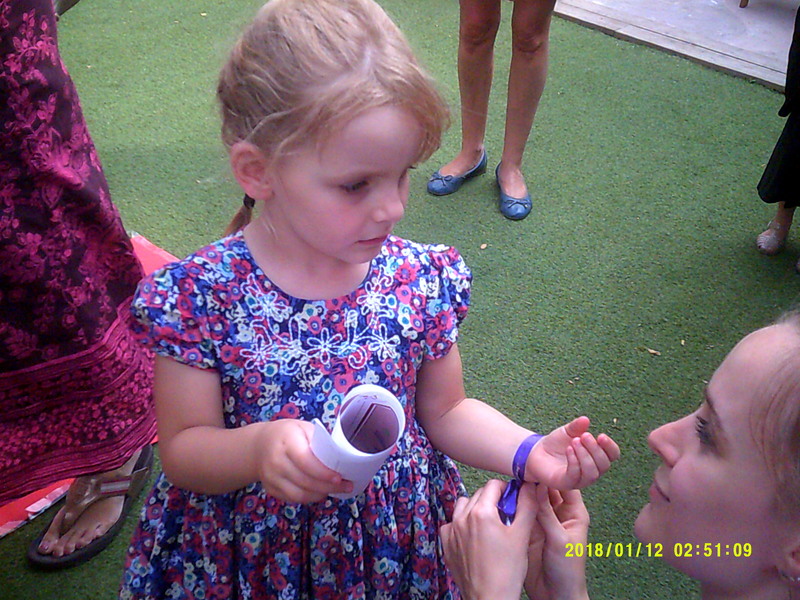 The practitioners had worked really hard in preparation for the ceremony as had the children. 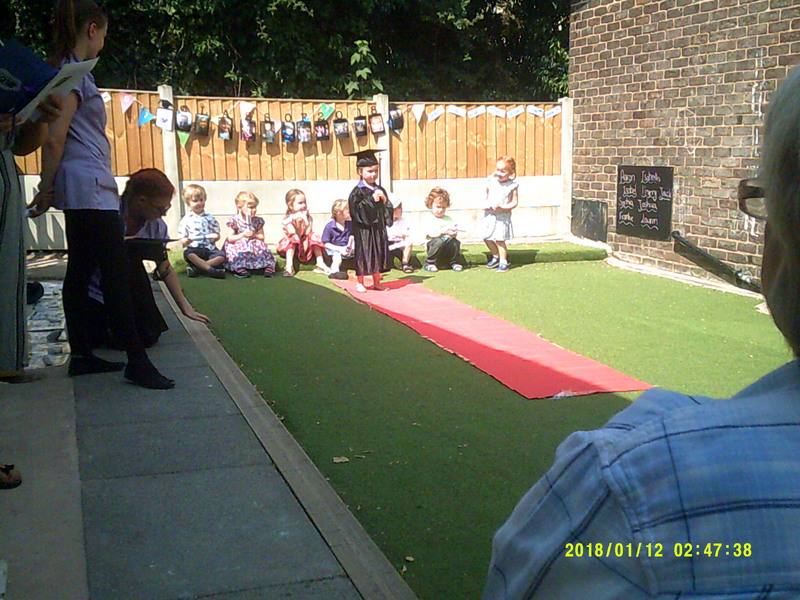 Everyone was really excited! 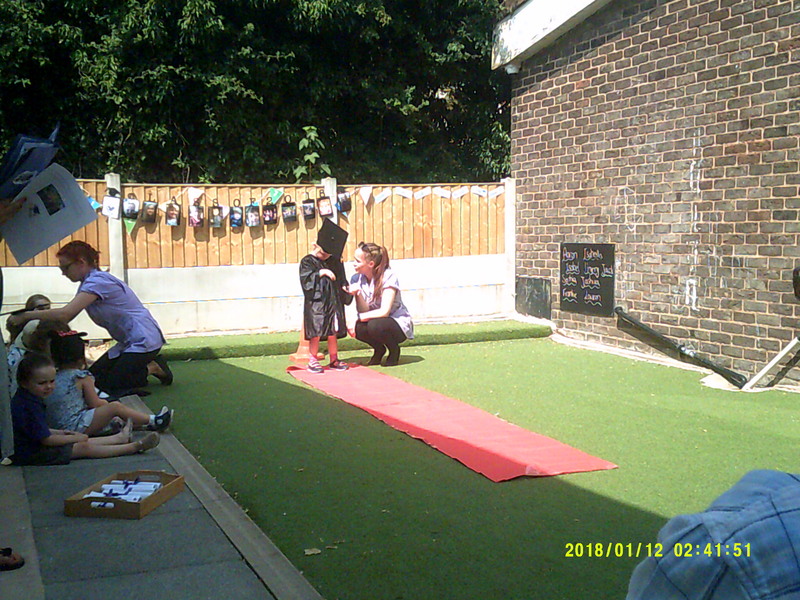 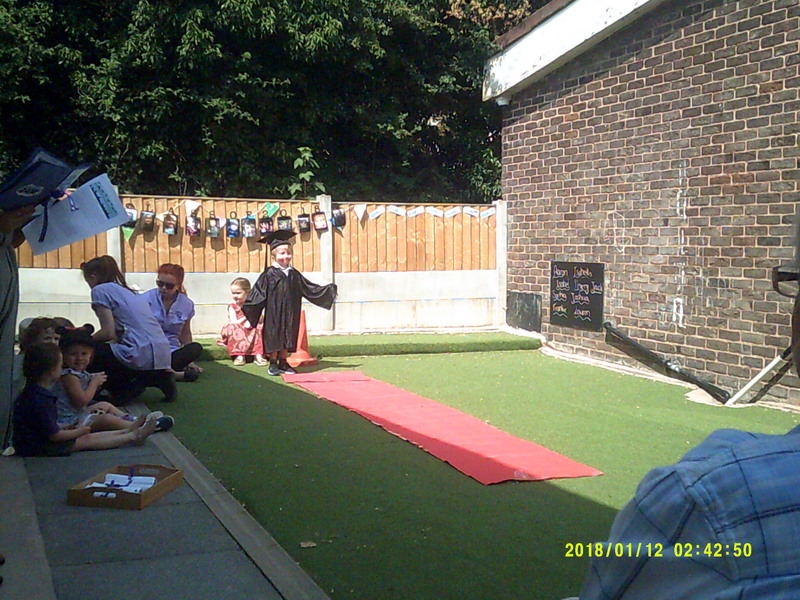 Meghan helped the children get into their cap and gown before walking down the red carpet as Hannah spoke about each of the children. 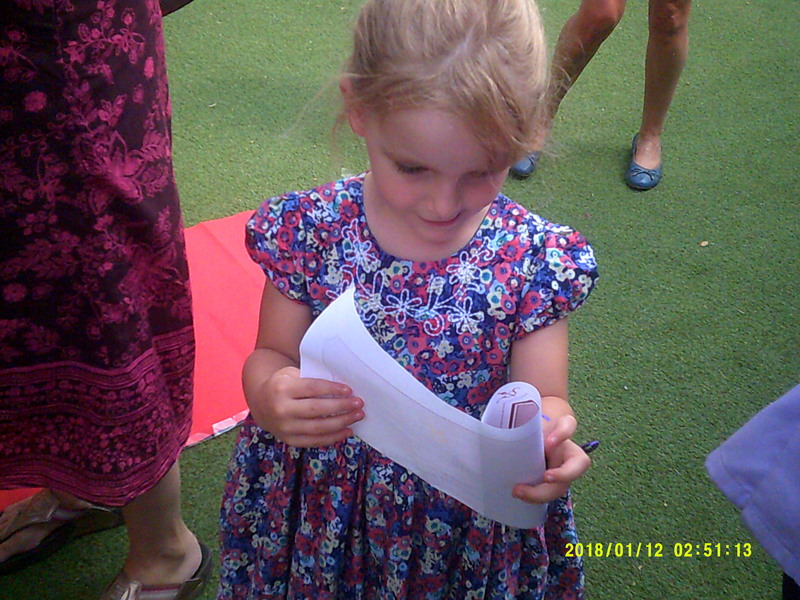 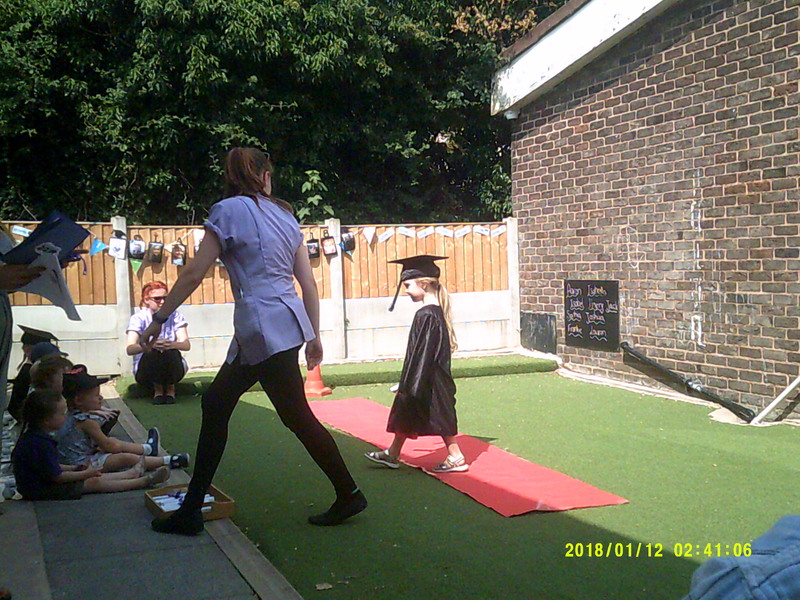 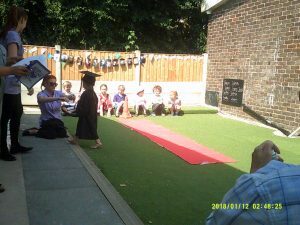 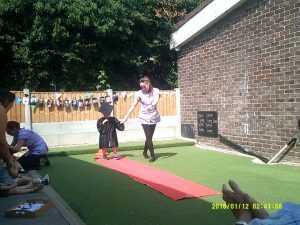 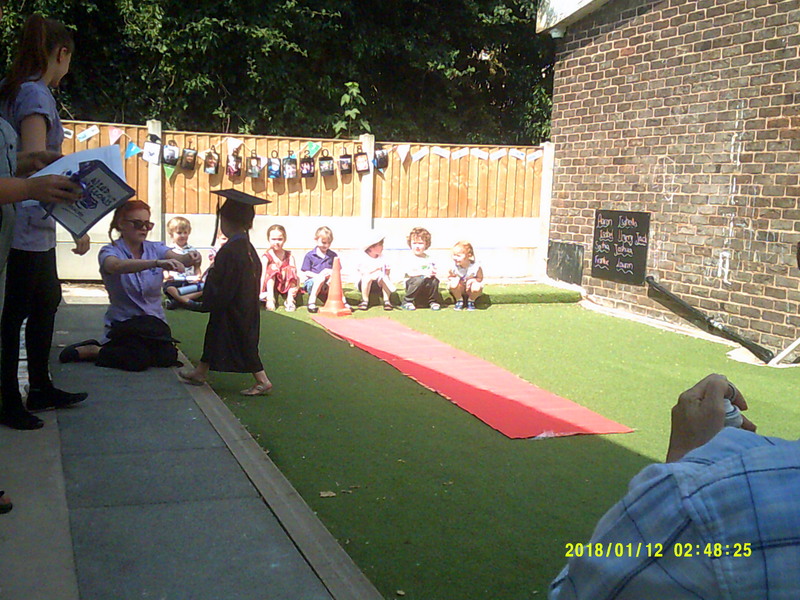 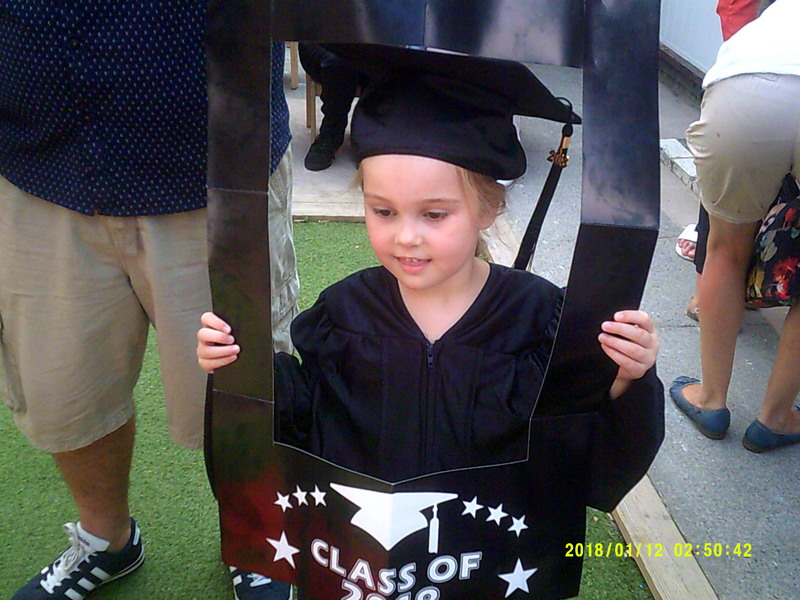 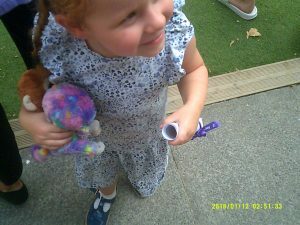 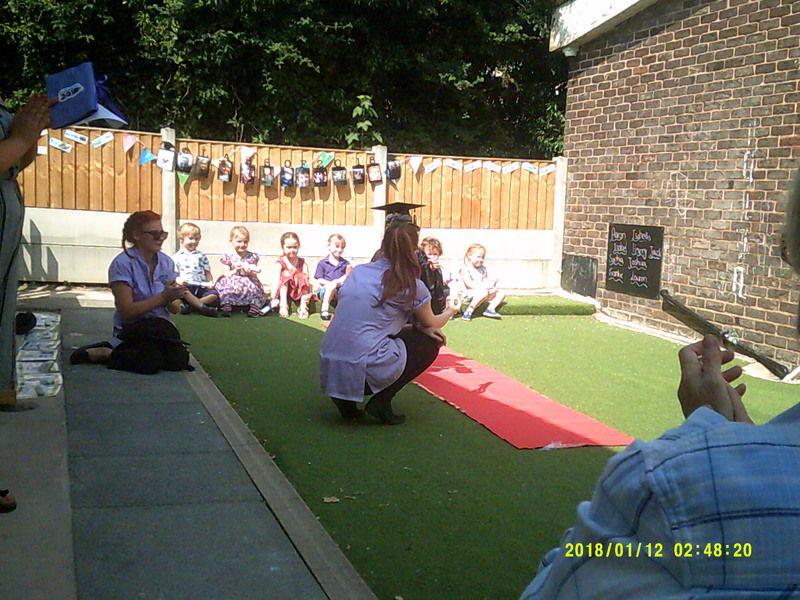 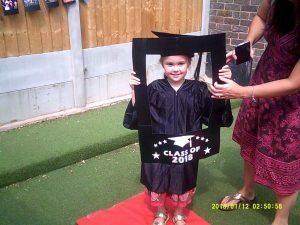 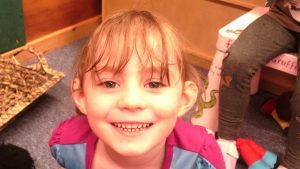 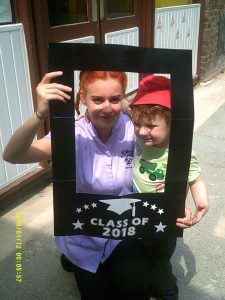 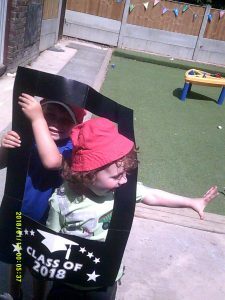 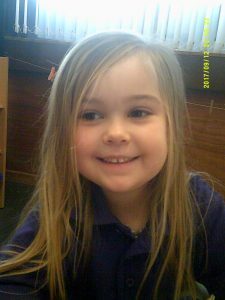 Once they got to the end of the red carpet the child received a graduation certificate scroll of Franzi for Graduating from Nursery. 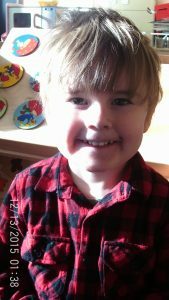 All the parents clapped and cheered for each of the children and it was lovely to see so many happy faces and even some tears of joy. We are so glad there was so many family members able to share this day and event with us. 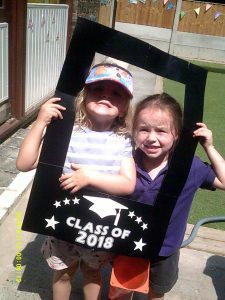 We cannot wait for everyone to come back and visit telling us all about their new schools, friends and teachers and how much fun they are having. 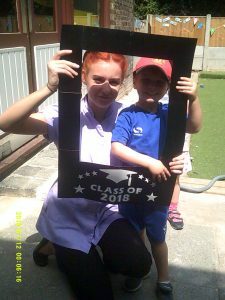 On behalf of all the Management team and Practitioners we have loved getting to know your children and yourselves as their parents and families welcoming us into your lives and trusting us with your precious children. 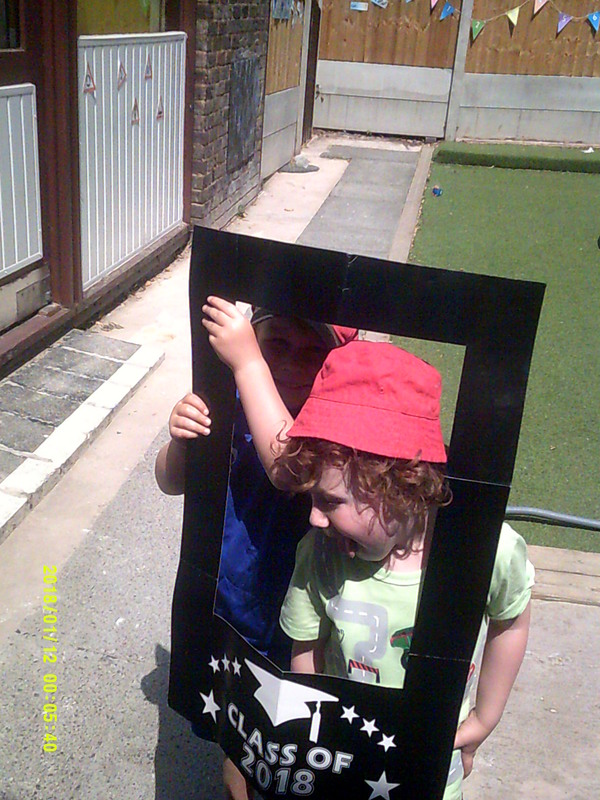 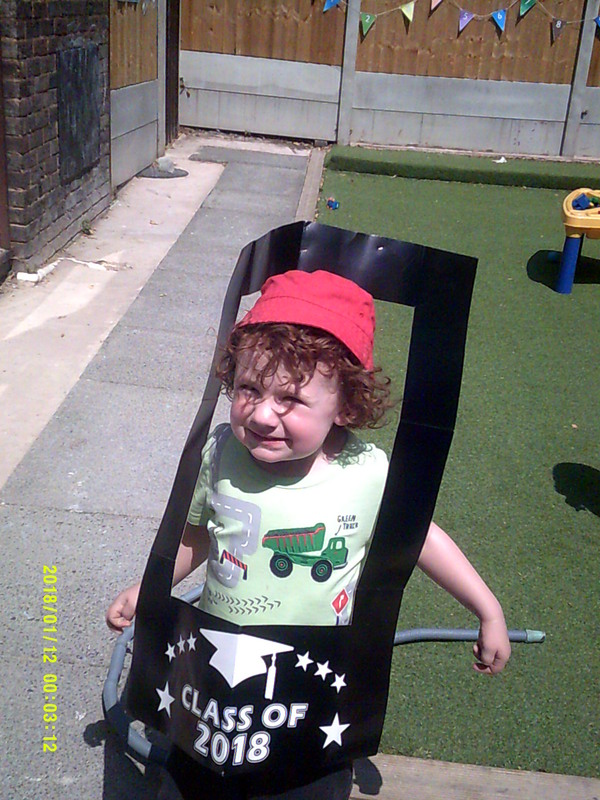 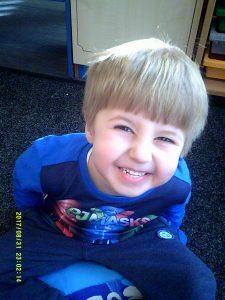 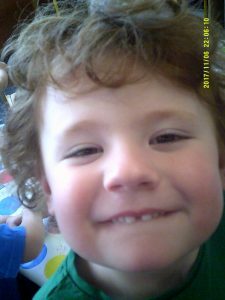 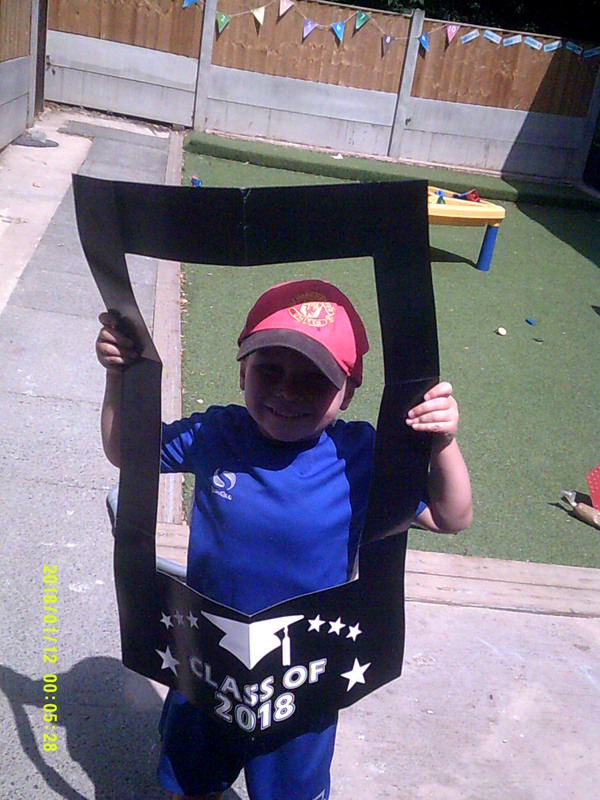 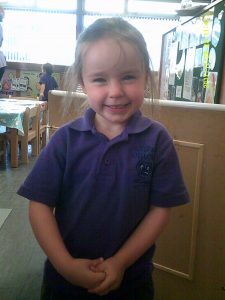 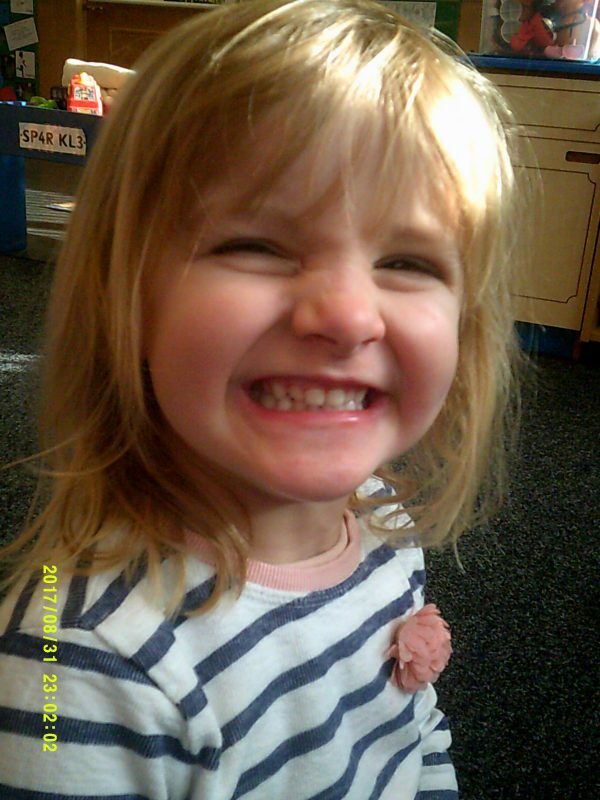 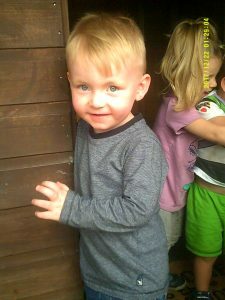 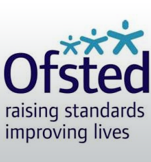 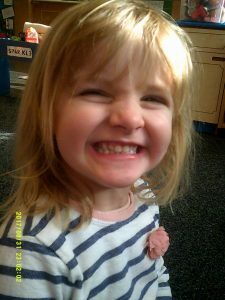 It has been our pleasure supporting and nurturing them into the little people they are today. 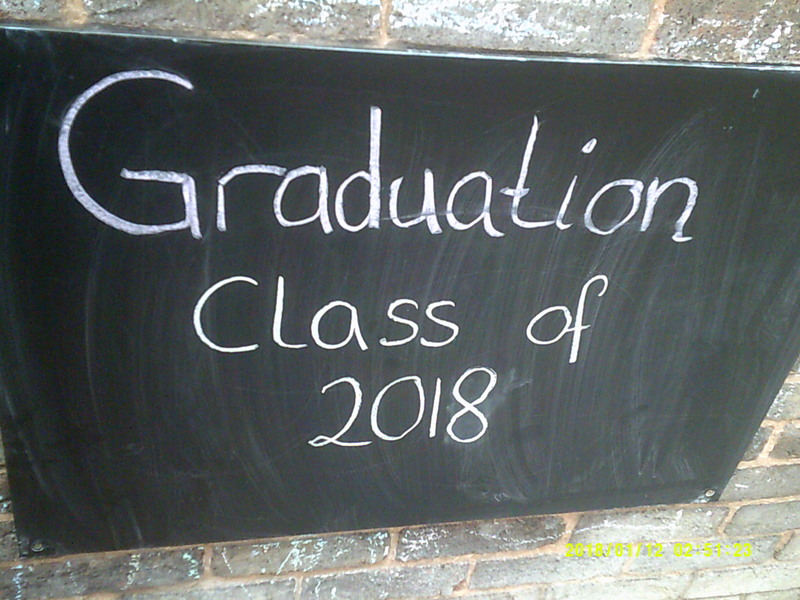 We will always remember and think of you all as Wind in the Willows Family and wish every one of you lots of luck!